For nearly a century Brennan has been installing deep foundation structures. Sheet pile walls, containment cells, weirs, and cofferdams are examples of the many types of structures that we can build. At Brennan, we have a fleet of specialty equipment that enables us to gain access to remote locations and water-based environments. We have used several styles of containment on many environmental dredging projects. In some cases, we have even used them to adjust the elevation of the water to allow for easier dredge access. If there are concerns about removing sediment within the webbing of the sheet pile, Brennan can provide specially designed tools that do just that! There are several systems to choose from when determined interlock sealants. We have experience with several and can effectively maintain them in the harshest of driving conditions. Our methodical reporting methods will ensure that each sheet pile is measured and accounted for. If required, we can plumb outfalls and special drainage systems through the wall while ensuring complete containment. 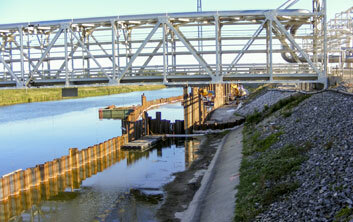 Brennan has crews that do nothing but marine construction and remedial construction throughout the year. We are as efficient as a deep foundation firm with the environmental and safety focus of a remediation firm. With Brennan, you get the whole package! J.F. Brennan Company specializes in water-based remediation and habitat restoration projects throughout the United States. We have successfully completed some of the most challenging environmental dredging and restoration projects to date. 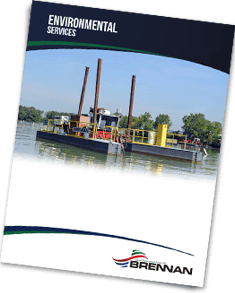 Download our brochure here to learn more about our remedial construction capabilities and other services that we offer. Want more information on our remedial construction services? Fill out the form below!